FORT PLAIN — The Fort Plain winter varsity and junior varsity sports teams were recognized at a reception Feb. 28 in the junior-senior school auditorium. The boys bowling team won the team title at the WAC Tournament after finishing second in the regular-season standings. 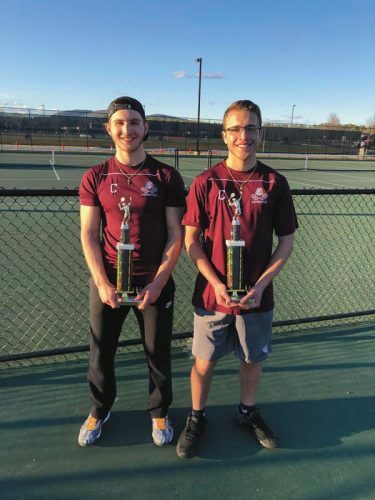 The Hilltoppers also placed fifth at the Section II Class C-D Tournament. Boys bowling awards went to Brady Fureno (Highest Average), Anthony Paradiso (Board of Education Second Effort Award), Taylor Gifford (Most Improved, third high triple at Section II Class C-D Tournament) and Landen Van Alstine (sixth Man Award). Fureno and Paradiso also were named second team WAC all-stars. Gabby Jenks earned the girls bowling Board of Education Second Effort Award, while Rachel Zuppardi earned the team’s Highest Average Award. Emma Oldick (Most Improved) and Shantel Kretser (Sixth Person Award) also earned girls bowling honors. Zuppardi also was named a second-team Western Athletic Conference all-star. 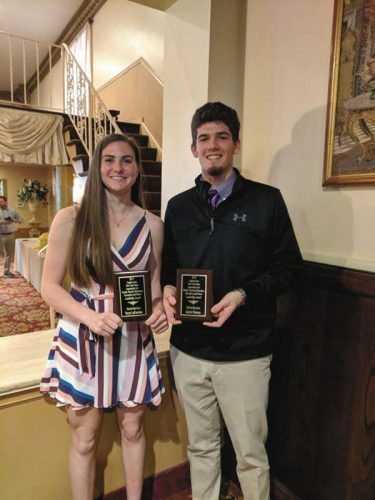 Matt Lambert earned the Board of Education Second Effort Award for the Canajoharie-Fort Plain wrestling team, while Emily Abrams earned the girls swimming Board of Education Second Effort Award. Abrams also broke the Nellis Pool and school record in the 100-meter breaststroke and was a member of the school-record setting 400-meter freestyle relay team..
Jenna Paddon claimed the Board of Education Second Effort Award for Cheerleading, while Quinn Jones and Megan Snyder were WAC Exceptional Senior Game participants. Family members and friends of the winter varsity and junior varsity sports teams were invited to attend.